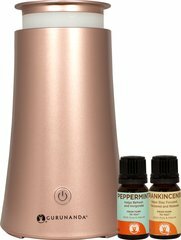 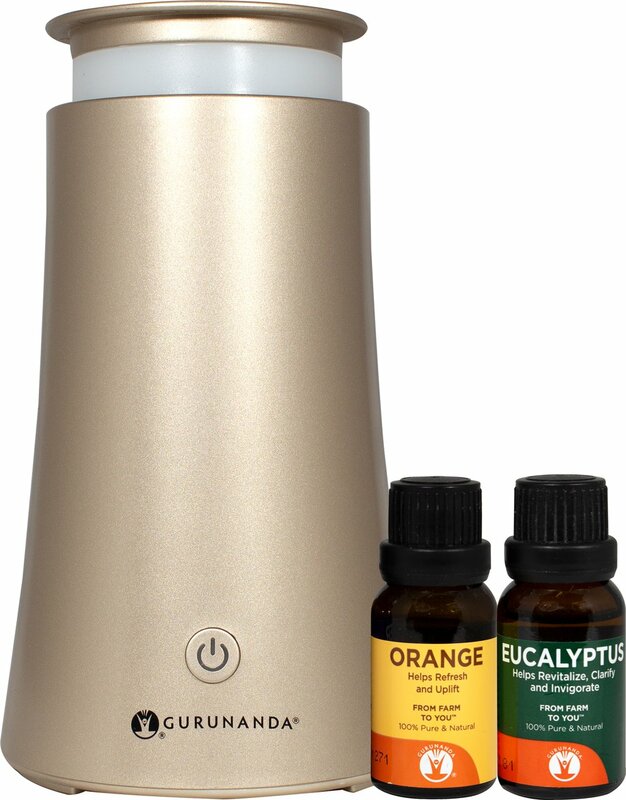 GuruNanda Tower™ Gold Diffuser for essential oils is an easy-to-use, high quality 100 ml ultrasonic essential oil diffuser that utilizes ultrasonic waves to diffuse the essential oil for up to 7 hours. 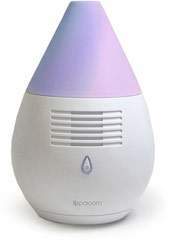 The Nano-particles of the essential oil, together with water, form a calming mist that disperses into the air without heating or compromising the benefits of the oil. 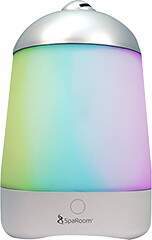 The flashing LED lights create a meditative environment for you to experience the restorative and purifying benefits. 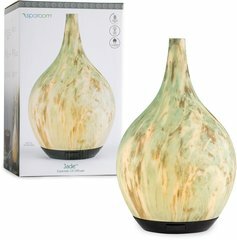 Its sleek, modern design can easily complement any space in your home or office. 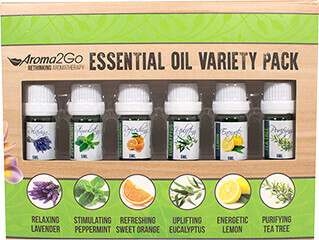 Two essential oils are included.